Willow Park maintained their winning home league record with a comprehensive victory over St. Francis in their Leinster Senior League Senior 1B division clash in DPD park on Saturday night. Winning by a two goal margin (4-2 ), the result gives the impression that the contest was closely fought affair, but Willow controlled the game for large spells and should have won by a wider scoreline. On a pristine pitch, Willow opened the scoring with half time imminent when Aaron O’Neill provided the assist for Kevin Murray and just moments later a Ryan Gaffey centre was finished to the net by O’Neill. A brace from impressive substitute Claudio de Silva - his second being a sensational free kick strike, ensured the points for the home side as their positive, fast flowing football proved too much for the Dublin visitors. With six points garnered from three matches played, Willow Park presently sit in third position in the division and on this early season home form evidence will certainly give all visiting teams to DPD Park a severe test as the season progresses. 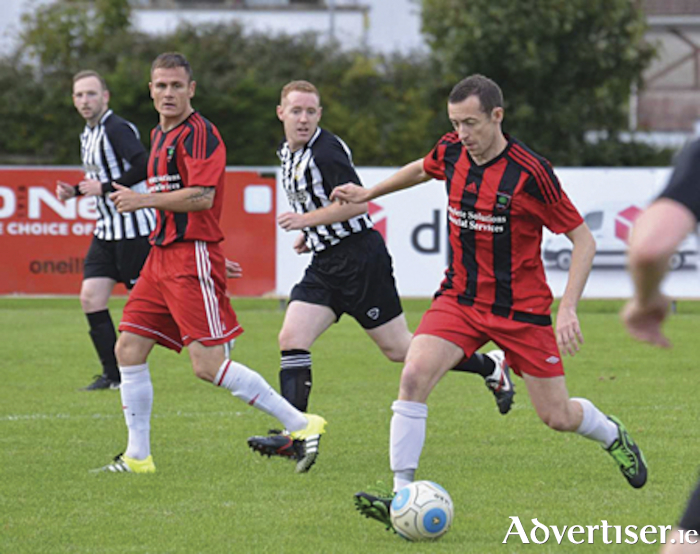 One of the pre-season favourites for promotion, Clondalkin based club Collinstown FC, provide the weekend opposition with Willow Park making the journey to the capital on Friday night. Meanwhile, Padraig Moran started his managerial reign at his boyhood club St. Peters with a comprehensive away win at Cloonfad United (7-0 ). A hatrick courtesy of Henry Odia was complemented by goals from Brian Cauldwell, Noel McGee, Niall Scullion and Paul Allen as the current Roscommon & District Football League Premier Division champions made a wholly positive start to the retention of their league crown. Ballinasloe Town, arguably their closest challengers for divisional superiority this season, provide the opposition at the Curragh Grounds on Saturday night as the Hoops aim to start their away day campaign with a win.